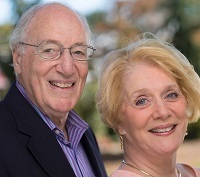 Ted and Barbara are an experienced real estate team with Monarch Realty Group in Mansfield, Massachusetts. As business and sales professionals we can offer you supportive and professional assistance in the buying and selling of your home. Ted’s excellent negotiation skills accrued from his years as a sales and marketing executive, would be to your advantage in a competitive market such as we have today. Barbara has years in sales and executive search as well as 10 + years real estate background in the high-end Concord MA market and here in Mansfield. Together we are a professional, compassionate and hard working team ready to get to work for you in nearly any town in Norfolk and Bristol counties in buying or selling your single or multi-family home or condo. Have two professionals on your side – call us today with questions or make an appointment to have us come out to your home for an estimate of value.